This tamper is all the tools you need to maintain a pipe, in one convenient little package. Like a swiss army knife, but for pipes. You get a scrape, a poker, and a packer all in one. Measures 8.2 cm in length. Comes with a pouch. Stainless Steel Pipe Tamper for extra durability. Every tobacconist you see will stock these handy pipe tools. 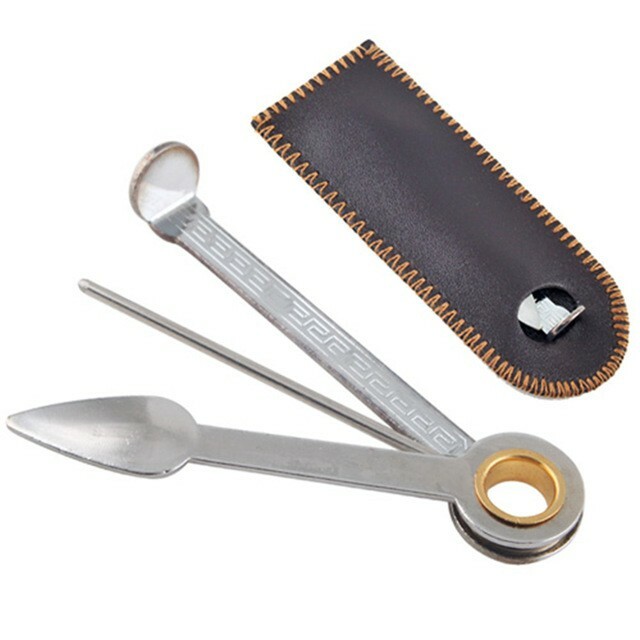 A great value handy pipe tool with all the essential bits for pipe smoking on the move. Ideal for the beginner or well established pipe smoker. Please note bag color may vary.